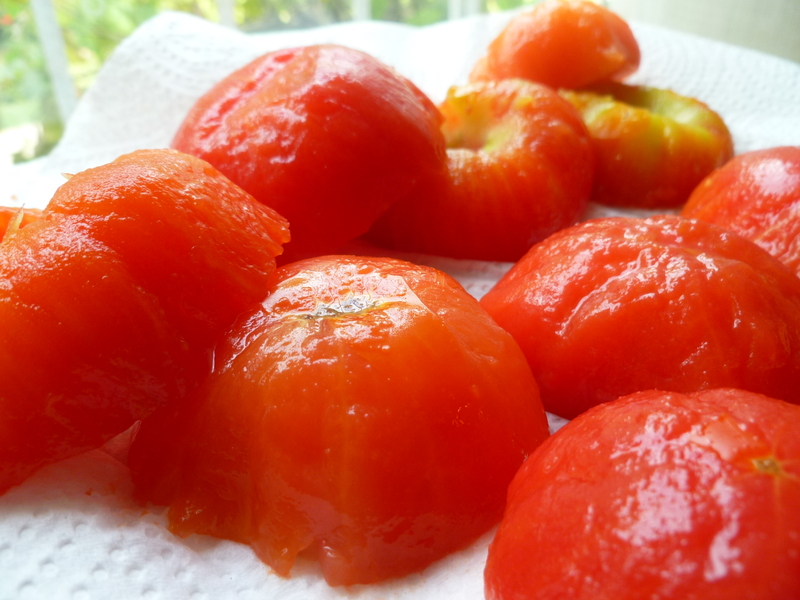 The tomato, like a good character actor, is able to convey a range of impressions in shorthand. It is traditionally infamous in the theater as the impolite purveyor of poor critical reviews. (One of today’s solid, thick-skinned hybrid’s that are bred to be machine-harvested could pack quite a wallop.) 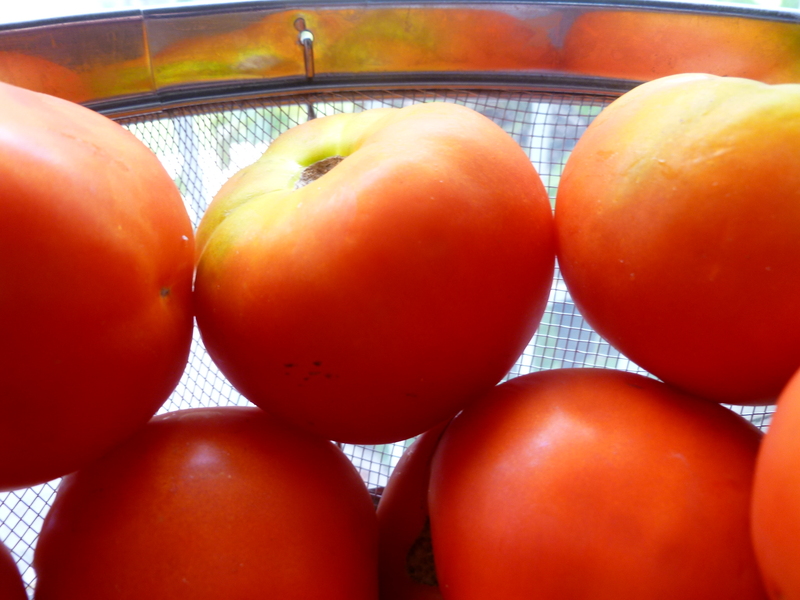 In old American slang, however, the tomato expressed quite the opposite opinion when it referred to a pretty girl. 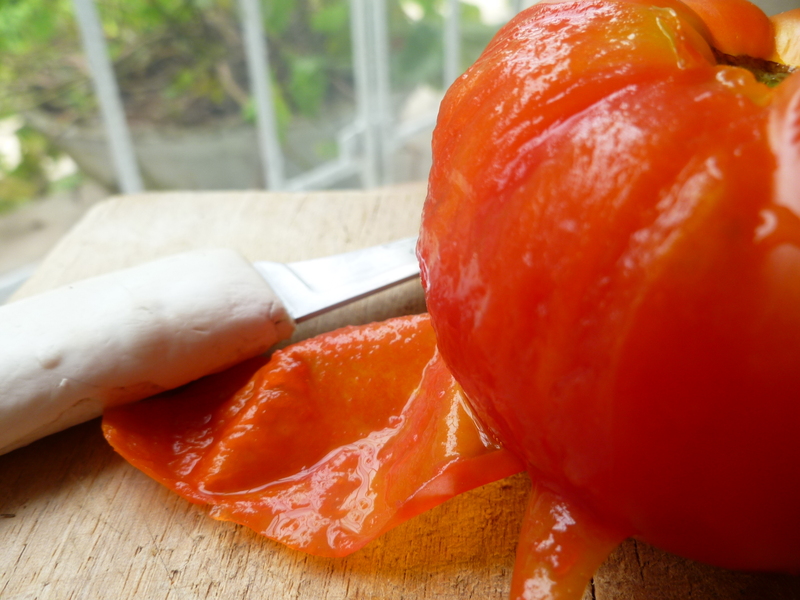 For backyard gardeners, fine tomatoes are the quintessential mark of gardening skill. And images of gas- and garden-ripened tomatoes, juxtaposed, bespeak a nostalgia for a simpler, kinder life in an agribusiness world. 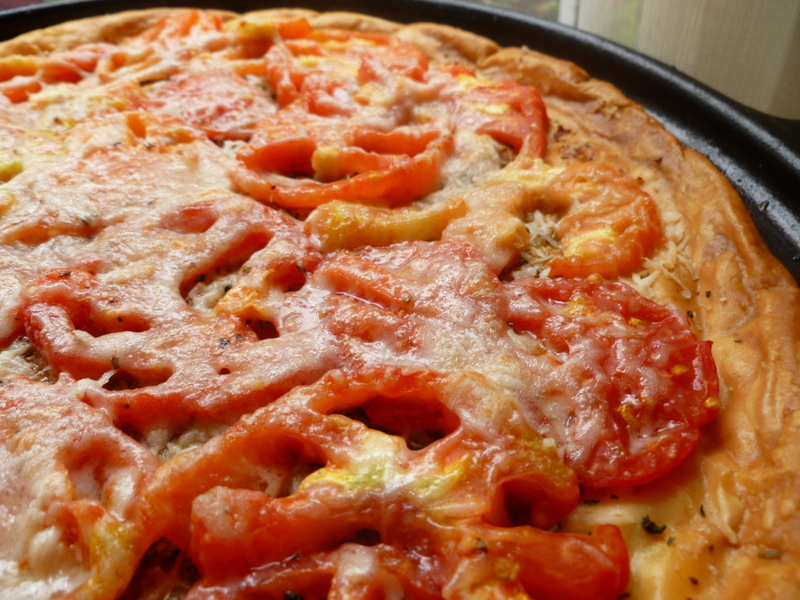 Tomatoes are versatile of expression in the kitchen, too. They’re gregarious. 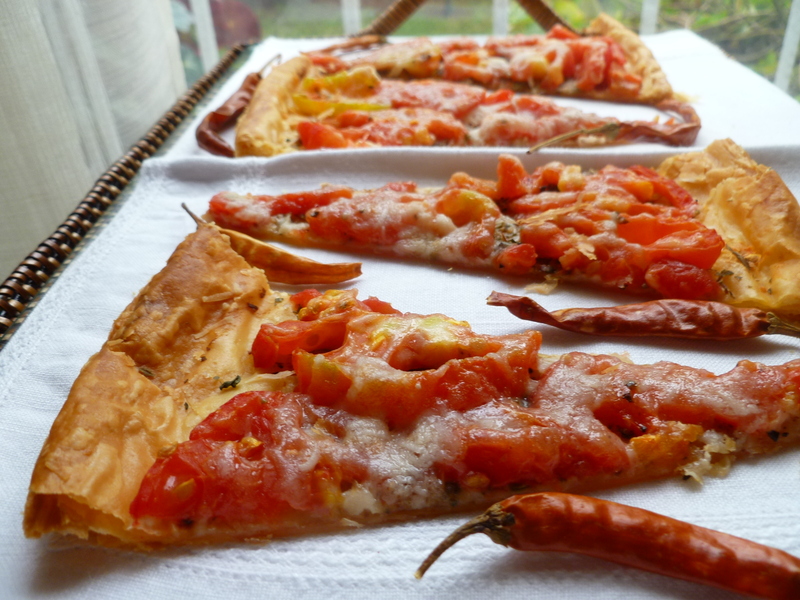 You can fire one with chilies, sharpen and deepen its flavour with herbs, or make it go subtle with cream and white wine. 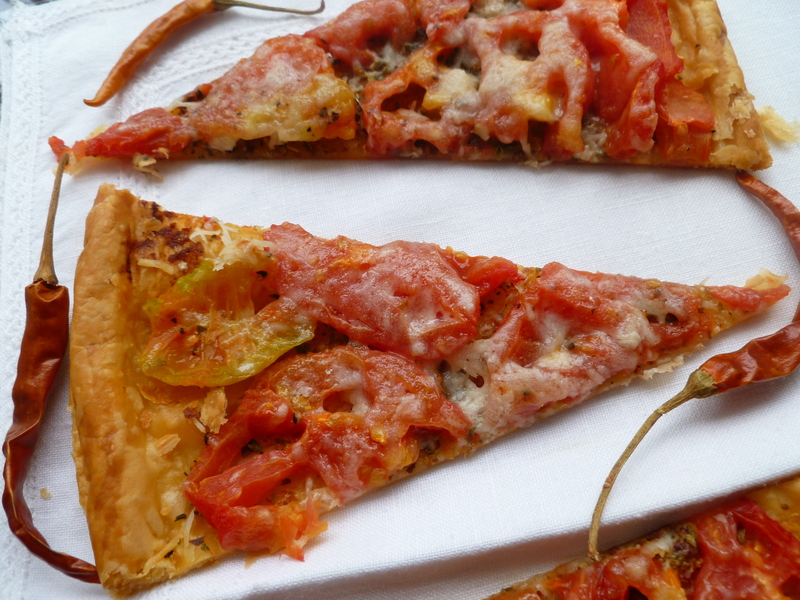 Or, with a little enhancing, tomatoes will happily go it alone, as in this Fresh Tomato Tart. 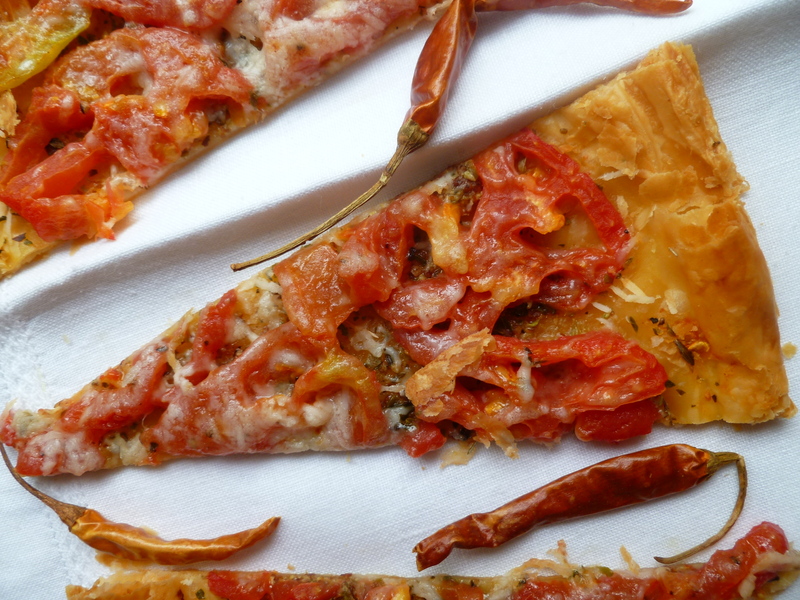 Note: To print this recipe, or any other diplomatickitchen recipe, go to the bottom of the page, at the end of the post, and click on the icon: Print & PDF. 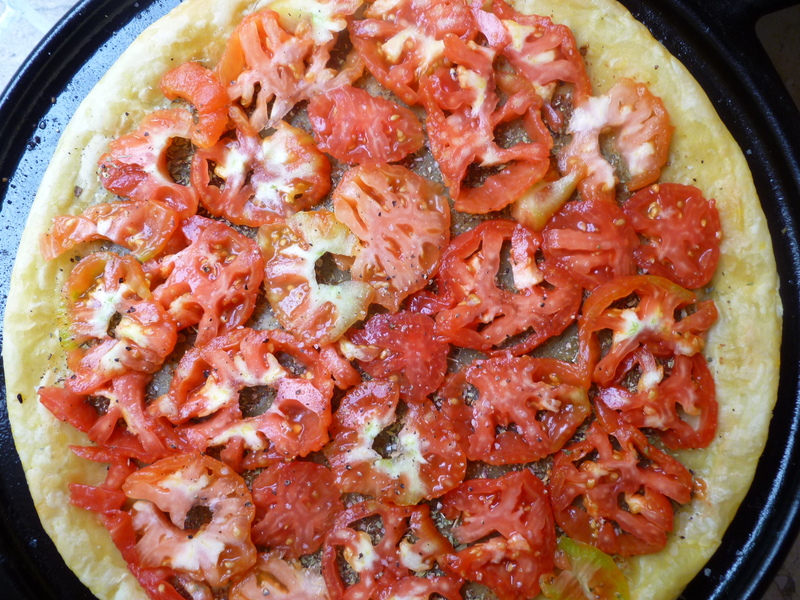 4 or 5 ripe Tomatoes, the number depending on their size; either Roma tomatoes, one, or several kinds of Heirlooms will make a good tart, but more ordinary varieties, like those in the photographed tart will be fine, too. 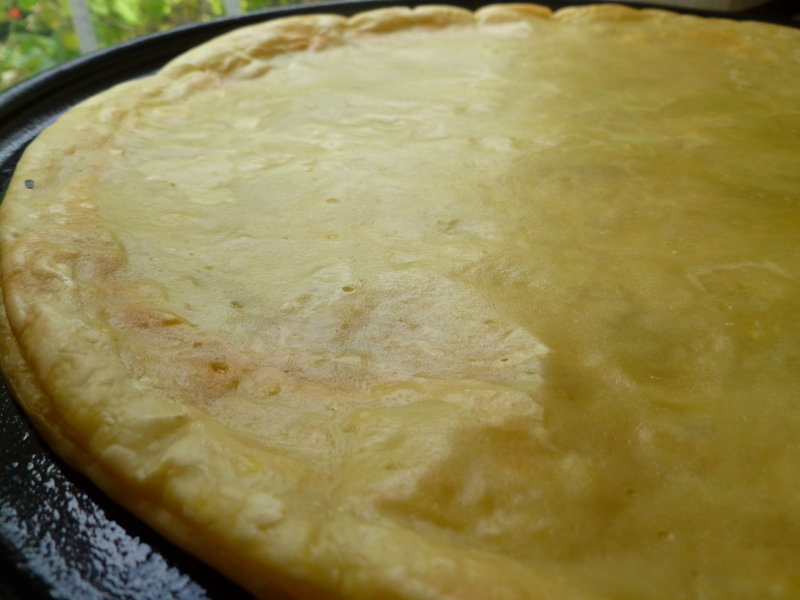 a sheet of Puff Pastry–round or rectangular–it makes no difference: the tart in the photos is made with a round sheet. 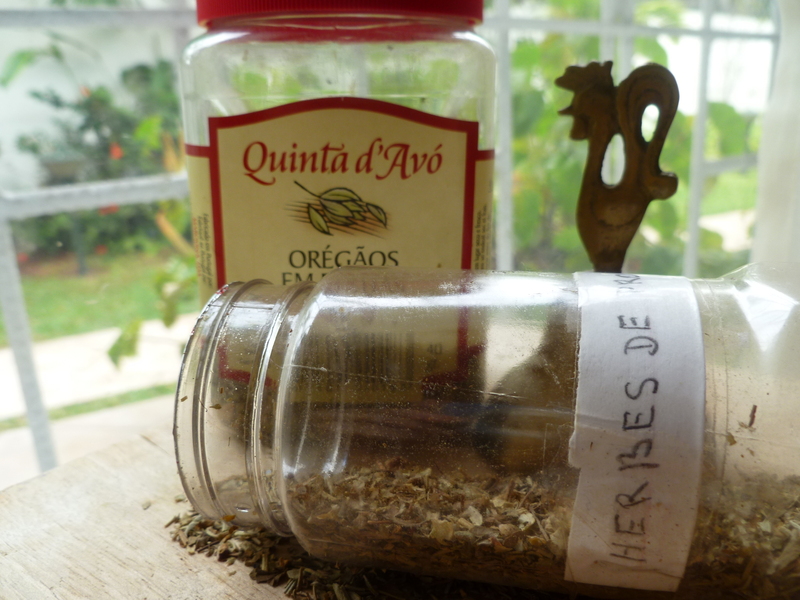 1 teaspoon each of dried Thyme leaves and Oregano (not powdered) or double that amount of fresh herbs; if there is a bottle of Herbes de Provence on the shelf, add a teaspoon of that as well. 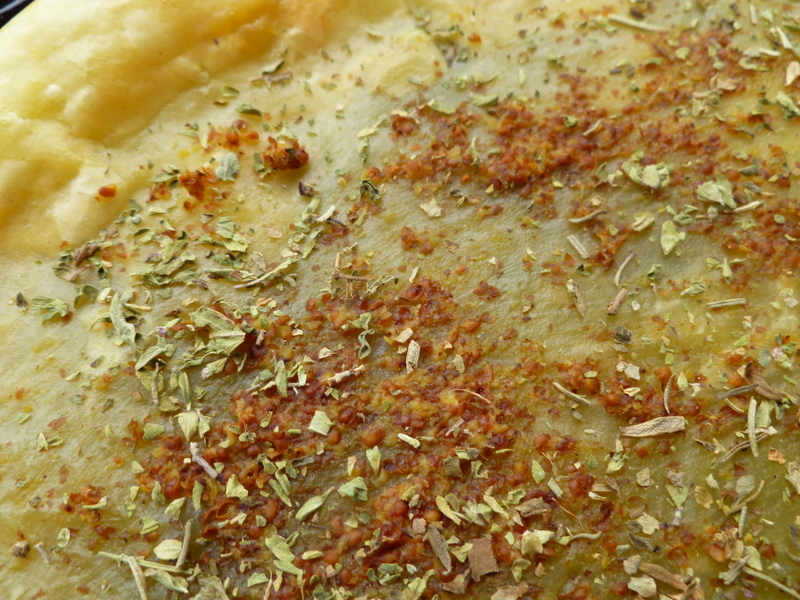 The thyme in this herb blend will be redundant, but whatever other herbs are in it (and these vary with the brand) will complement this recipe. 1. 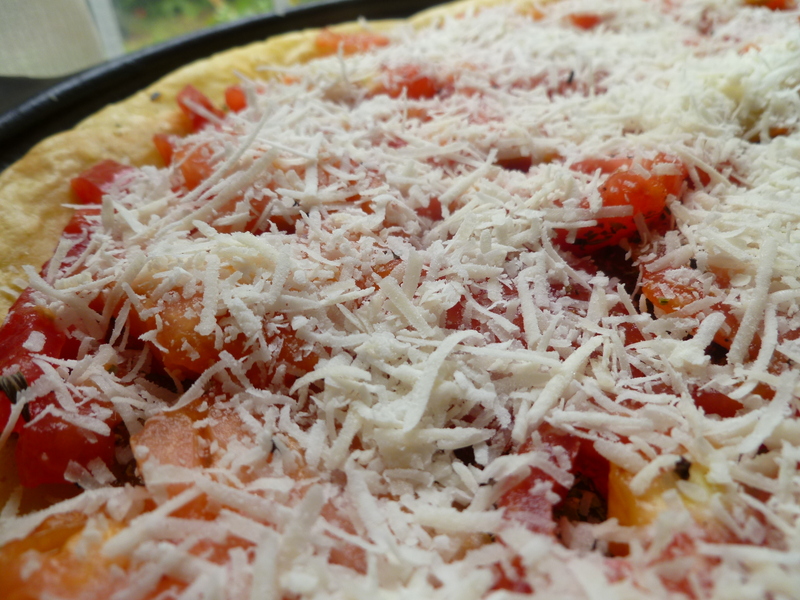 Preheat the oven to 425 F.
3. 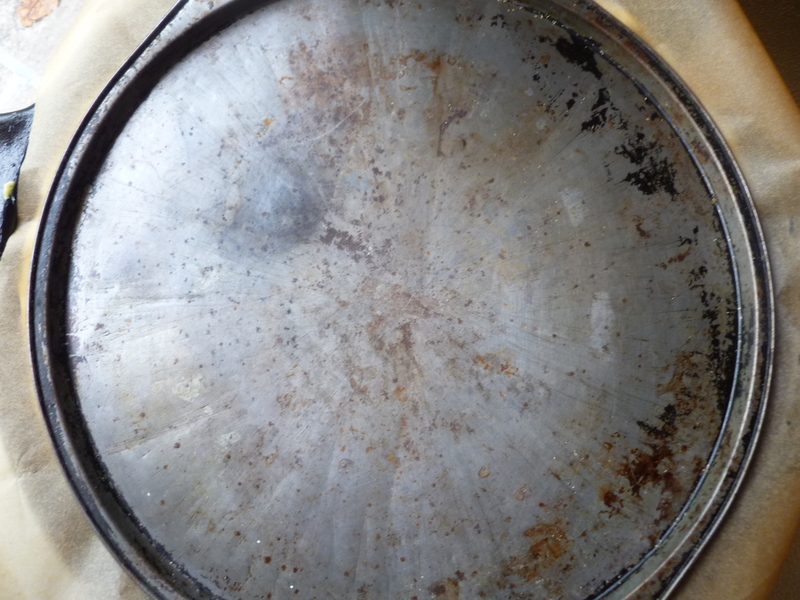 Brush the pizza pan or baking sheet with a little olive oil. 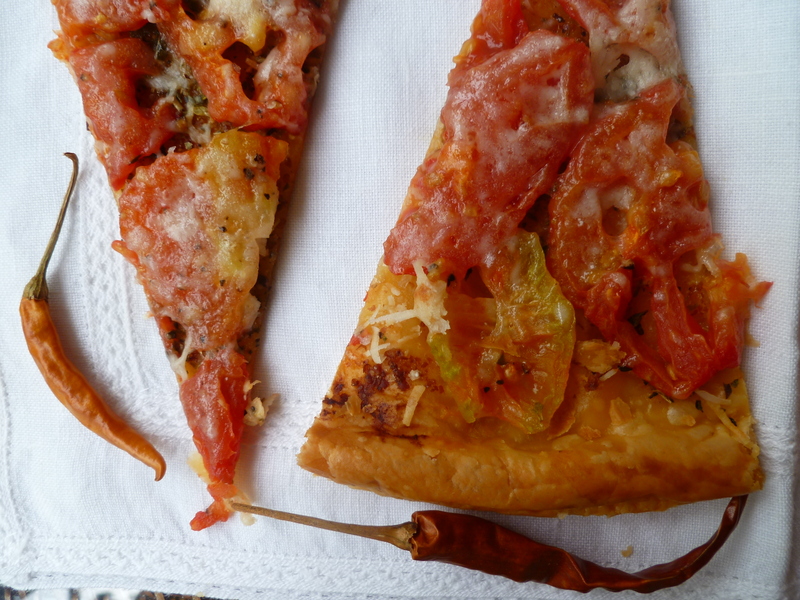 A Serving Suggestion: Arrange the cut slices on a tray, decorated, if you like, with whole, dried Chile de árbol peppers. 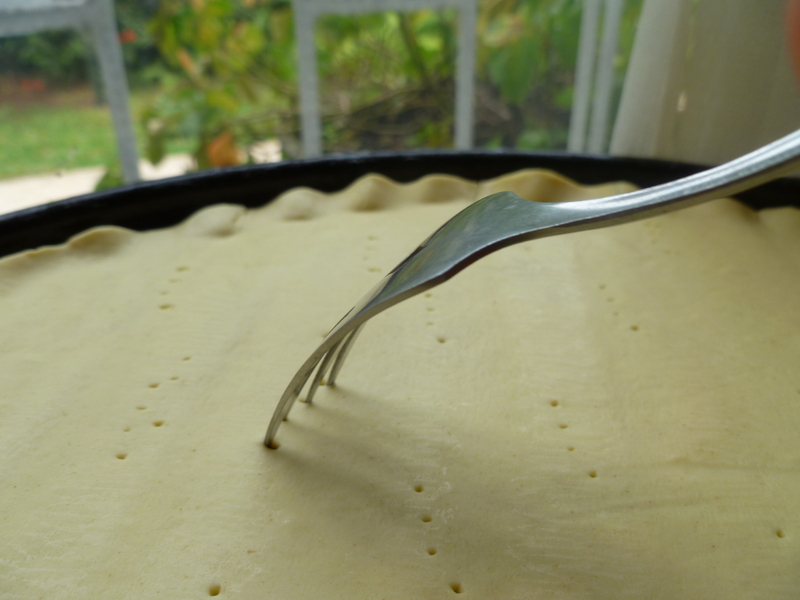 A Note: To ensure a crisp crust, pre-baking pastry for a tart before spreading on the topping succeeds when making sweet tarts, as well as savory ones. 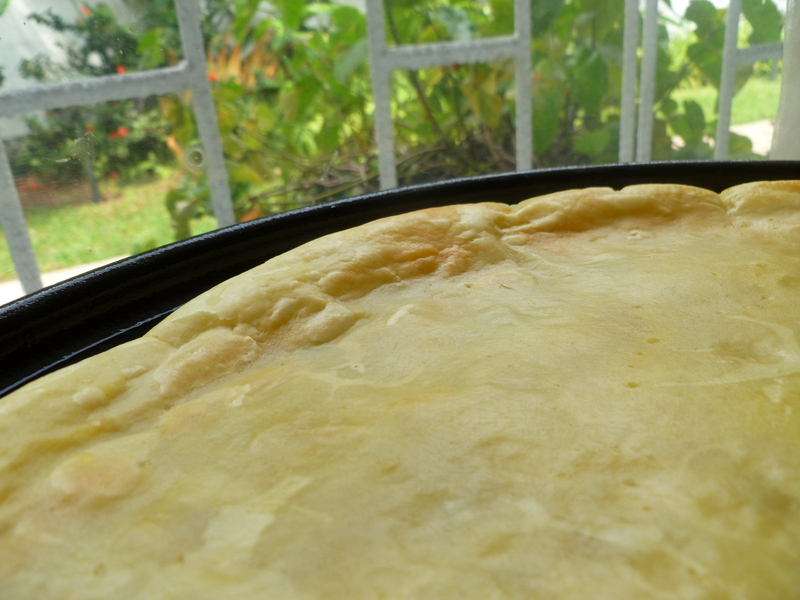 For tarts that require longer baking times than Fresh Tomato Tart, the rim of the crust should be covered lightly with aluminum foil to prevent it from becoming too dark. 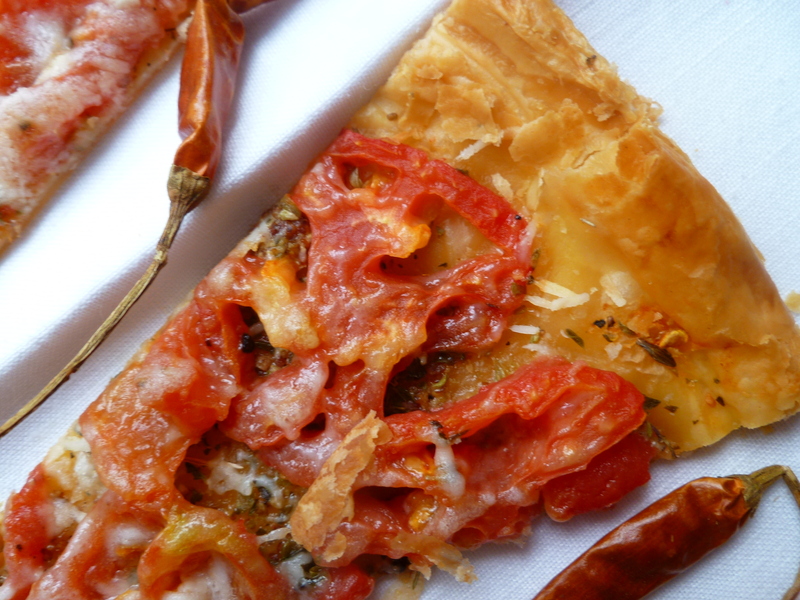 A Second Note: In the Dinner Menu: An Evening with the Classics, Fresh Tomato Tart is served before dinner with aperitifs. 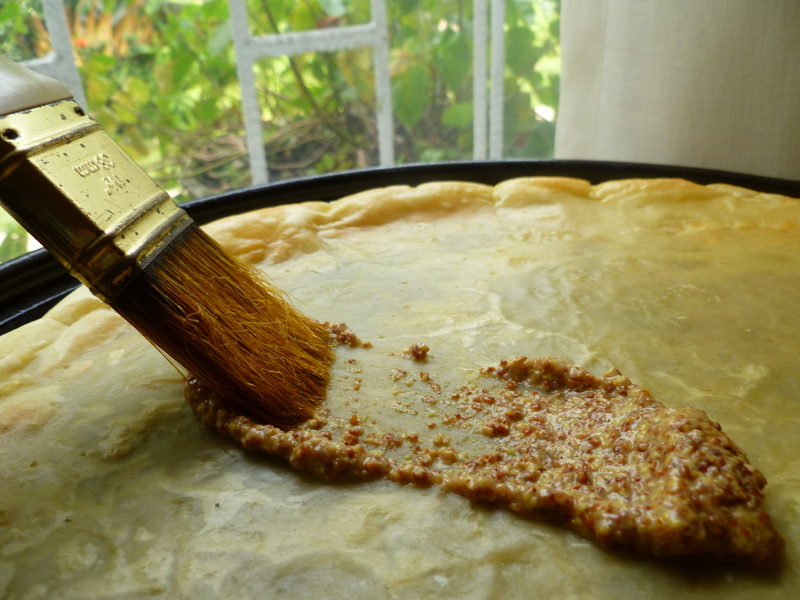 The tart is also a good accompaniment to a soup, for example, in a Light Lunch. I visited several websites except the audio feature for audio songs existing at this website is really marvelous. I’m glad you liked it. Thanks for the feedback.